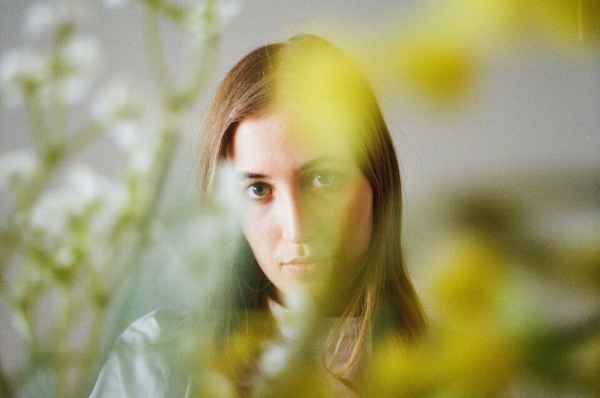 One of my tips for 2018 Aussie dream pop artist Hatchie has had a super year. Since her first UK tour and the release of her debut EP ‘Sugar & Spice’ on Heavenly in the Spring, she sold out an Australian headline tour as well as her first US headline shows, and more recently went on a US tour with Alvvays and Snail Mail. Harriette Pilbeam and her band are currently preparing to return to Europe for performances at Pitchfork Paris’ Avant-Garde event and a London headline show at Electrowerkz on November 1st. She has also annuned a brand new track as well as details of UK shows supporting The Vaccines in January & February next year. Hatchie is the world of Harriette Pilbeam. To hear her music is to step inside her mind; a dreamy landscape where cascading synths, jangling guitars and white noise undulate beneath irresistible pop melodies. Rather than focusing on the external world of her daily life in Brisbane, Australia, Pilbeam instead turns her gaze inwards, making a soundtrack out of her daydreams, setting her emotional life to song. After signing to Ivy League Records for Australia/New Zealand, Heavenly Recordings for UK/Europe and Double Double Whammy/Polyvinyl for North America, Harriette and her band have toured worldwide, including shows at SXSW, Live at Leeds, Liverpool Sound City, The Great Escape, packed out London headline shows at The Shacklewell Arms, The Social and The Sebright Arms. Her ace debut EP ‘Sugar & Spice’ was released in May. At least you know the difference between shoegaze and dream pop. I think the main reason that I am infinitely miserable about so much music is that I’ve heard it all before. When you’re young you can listen to music ignorant of how derivative it is, then you get older and you can say “does anyone really need a single dream pop song in their life that isn’t Fade Into You?” answer “no” and move on quickly.